In today's digital workforce, it's not enough simply to manage. Workers are looking for authentic leadership. A funeral seems like the last place to find professional leadership lessons, but at the service celebrating her mother's life, LaVerne Council found inspiration she brings every day in her role as assistant secretary for Information and Technology and CIO, Office of Information and Technology, U.S. Department of Veterans Affairs. "My mother wasn't a CEO. She wasn't on the cover of a magazine. But the church was packed. I remember the minister saying, 'Millie was one of those people who always had your back. And she was no phony,' and that was all he needed to say. That was everything; I try every day to live up to that in my life and in my work," Council says. Today's IT organizations need authentic and bold leadership to guide their digital transformation and drive innovation and growth. But it's also key to solving another corporate puzzle: how to attract, hire and retain talent. In today's job market, companies can't promise lifelong job security, and employees don't expect it. But what organizations can offer, and what more and more workers are looking for, is purpose, mission and shared values. That starts with authentic leadership, says Bruce Tulgan, founder and chairman at generational research and management training and consultancy RainmakerThinking, and author of Not Everyone Gets a Trophy, The 27 Challenges Managers Face and Bridging the Soft Skills Gap. "We live in a post-job-security era; company loyalty is dead. Businesses have to be lean and nimble, and they can't promise lifelong career security the way they once did. So, loyalty has become more short-term and transactional, and where they're felt most deeply is between and among human beings where there's trust and confidence, and where workers feel they're contributing to a shared mission," says Tulgan. In other words, because there's no longer a long-term value proposition involved for employees -- pay your dues and work hard and the company will take care of you until your retirement -- much more emphasis is placed on the short-term value proposition, which is more about short-term growth, honesty, transparency and authenticity, Tulgan says. Leadership in this new workplace landscape looks much different than the old command-and-control, hierarchical systems, and requires a different skill set than in generations past. Authentic leadership necessarily looks different for every leader, too, since it requires an emphasis on an individual's unique strengths and talents as well as an understanding and acceptance of areas for improvement. There's no "one-size-fits-all" definition of an authentic leader, says Council. It's about bringing your own personal values and beliefs to any and every situation and standing firmly behind them. "I made the decision a long time ago that I was going to be who I am at home and at work, and not compromise on those values. I have four guiding principles: Be transparent, be accountable, use teamwork and be innovative. These not only help to direct me at work, but they're part of who I am as a person. That's authentic -- standing behind those tenets and committing to these ideas," Council says. Of course, authentic leadership doesn't mean flawless leadership, Council says. It's more about not shying away from your authentic self and backing up your actions and decisions with those core values you hold. Doing so gives your people permission to be their authentic selves, too, she says. "And don't get it confused with etiquette -- yes, you have to maintain decorum and courtesy and kindness. Being a jerk and then saying 'But I'm authentic' doesn't make you any less so. What it means, to me, is that you always know who you're going to get and my values don't vacillate depending on my audience. That's really important to getting your teams and your colleagues to stick with you when the tasks are hard," Council says. Authentic leadership also means you'll necessarily lose some people who don't agree with your mission, your purpose or your values. And while that can be disappointing, it's can make sure your workforce is engaged, loyal, productive and committed for the long haul. "Authenticity like this means people either will gravitate to you or it scares them because they themselves either aren't authentic, or they have a different set of values. And that's all part of the process. It helps you find out who's really on your team, and who doesn't necessarily have the character traits you thought they did. My husband and my chief of staff have both described me as 'relentless.' My style is like a tough baseball coach: I have a lot of energy, and I'm going to help you play your best game, no matter what. That also means I'm going to take the time to understand where your strengths and weaknesses are. I'm not going to push you to be a grand-slam hitter when I know you can only pitch," Council says. Authentic leadership also means understanding and acknowledging your own strengths and weaknesses as a leader, and being open to changing for the better to help the larger organization, says Matthew Gonnering, CEO at digital asset management solutions company Widen. "There's been a sense in the past that leaders have all the answers, and they always know what to do. The first step toward a more authentic type of leadership is to admit that you don't know everything, and that means vulnerability -- which is really uncomfortable for some people. But it goes hand-in-hand with transparency and honesty, which, to me, are part of authenticity. Being vulnerable to your colleagues opens up opportunities for everyone to learn and grow, and to leverage their strengths in areas you might not have. That helps the entire organization be more authentic," Gonnering says. And an authentic organization has better relationships with customers, too, Gonnering says. By encouraging his workforce to be authentic, open and honest in all customer-facing relationships, Widen goes beyond the usual vendor-client relationship and builds real, human connections, he says. "We are honest with everyone we deal with about what we're great at, where we're working to improve, how we can help them. Just as you can't put up walls between your leadership and your employees, we feel you shouldn't put up those barriers between vendors and clients. Being authentic means we get better feedback, more open communication, we have higher client retention rates, we get better customer referrals -- it just keeps showing us the benefits," Gonnering says. Authenticity also encourages diversity and inclusion within an organization, says Anthony Abbatiello, a principal in Deloitte Consulting LLP's Human Capital practice and the global leader of Deloitte Leadership. "Authenticity in leadership is important to bringing in a diverse and inclusive workplace. Diversity of thought, background and experience as well as gender, race, ethnicity -- these are all critical to helping growth, execution, inspiration and attracting and retaining talent in the organization. And when you have authentic leadership, you're designed for growth whether that's revenue, new products and/or innovations as well as a strong organizational culture that aligns with these business outcomes," Abbatiello says. Can you build authentic leadership, or is it something you just have to luck into? It's a bit of both, says Steve Nunn, vice president of global cloud and infrastructure services, Unisys. Some people are born leaders; some have the potential but just need guidance and support to develop those traits; some people just aren't leadership material. There's also a difference between "leaders" -- those who want to drive new ideas, innovation and growth -- and "managers" -- who are content with and capable of maintaining the status quo, Nunn says. "Leadership development is about being mindful of your own weaknesses and strengths as well as being able to identify those in your workforce. Honestly, some people want to be leaders, some people want to be managers, and some just want to be workers -- and that's OK. The world needs all these types of people. Being able to identify and accept which of these aspects you're comfortable with is a huge part of authenticity," Nunn says. The good news is that, for those who may not have innate abilities in a leadership realm but have aspirations to leadership and want to develop and hone those skills, it's absolutely possible, says Deloitte's Abbatiello. "We want to focus on the people who can develop these leadership capabilities faster than others -- finding individuals who are just hard-wired to adapt well to change, who have the intellect, the motivation, the communication and interpersonal skills -- and looking at their current capabilities and their potential. Then we work on their education, building their expertise through experiences and their exposure to different scenarios. 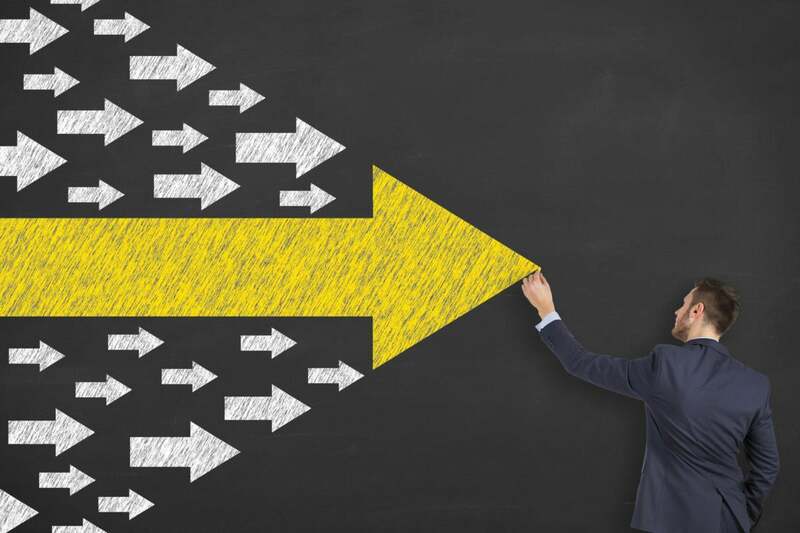 These are the most powerful ways we've found to develop authentic leadership,"
Doing so is more like a marathon, though, than a sprint, and it often takes time and long-term investment to reap the benefits, Abbatiello says. If potential is the speed at which individuals can acquire and apply new knowledge, then capability is like a muscle that can be trained and developed to perform at its highest level -- but that level is different for each person, he says. "I used to run marathons in my 20s. What I quickly learned is that no matter how hard I trained, there were always runners out there with a more optimal biological and genetic predisposition than I had. I was great at the level of being a 10K runner, but at the marathon level, not so much. But recognizing that, like recognizing people's strengths and weaknesses in leadership, is a huge step toward authenticity," Abbatiello says. It also means having the foresight to understand when high-potential talent has to gain experience and exposure outside your organization rather than within. "Understanding that potential and capability can be developed both inside the organization -- maybe by running a global organization, by focusing on product development, leading the transformation of a division -- or externally, by working with institutional investors, by moving to other industries, investigating innovations outside your space. Sometimes you have to let high-potential leadership talent go just so they can come back," he says. As millennials and Generation Z flood the workplace, authentic leadership is going to become even more important for organizations looking to hire and retain the next generation of talent. Businesses should start now to engage in ongoing dialogues and open communication about the need for authenticity and how the workers of today can become the leaders of tomorrow, says Bruce Tulgan. 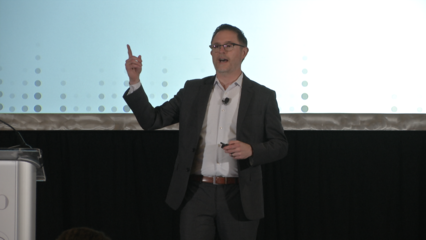 "These are the emerging norms that are going to drive workforce management and organizational culture going forward. Given that this is the new reality, you have to look at your organization's behaviors, norms and expectations and make changes now to account for that or risk being left behind," Tulgan says.